#1 – Can Tufts repeat?? The big (only??) question is whether Tufts can repeat their 2018 win. On paper they hold a big lead but that’s nothing new as they rest for their midseason meet more than most NESCAC teams. Most years they have had a hard time replicating those results – not last year, and it resulted in a close 81 point victory. While they graduated NCAA individual event qualifiers Zachary Wallace and James McElduff, relay qualifier Michael Brienza, and diver Aaron Idelson, amongst others, they reloaded with a deep class highlighted by James Kim who has league leading times in the 400IM and 200BK. Tufts is deep in backstroke (top four seeds in the 200), IM (four of the top 10 seeds), and sprint free (junior Roger Gu has already been :19.77, eight tenths faster than anyone else in the league so far this year), while Williams counters in distance free (seeds 2 to 4 in the 500), breaststroke (four of the top 14 seeds whereas Tufts only has one of the top 29). Neither team has any divers, which will even out what has been an advantage for Tufts who fielded two last year. Its possible the outcome could come down to the last events on Sunday. Seriously . 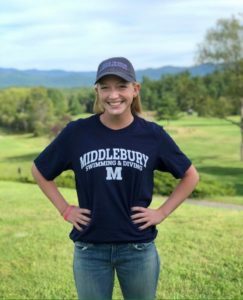 . . Williams has been pushed in the past – Middlebury won in 2001 and Amherst was within six points in 1998 – but those were both one year blips and Williams was able to recover the next year. Now Tufts is favored for the second year in a row. All eyes will be on the top of the scoreboard all weekend. 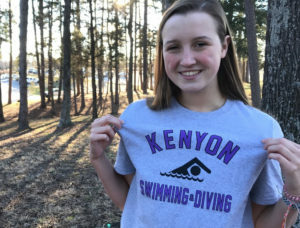 If one of them falters its possible a deep Amherst team that had the top three finishers in the 100 breast last year could jump ahead of one of them. The new meet format, with the 800 free relay on Thursday night, resulted in seven women’s relays under the 2018 NCAA qualifying time as opposed to only two the year before. While the men’s meet is likely not deep enough to see that many teams make the qualifying time, it’s possible that we will see more than just the top three relays of Amherst Williams and Tufts make the qualifying time. 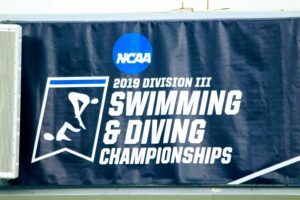 Fourth seed Connecticut college, Bowdoin behind NCAA runner up in the 200 free Karl Sarier, and perhaps Colby could have a chance at making a national cut. 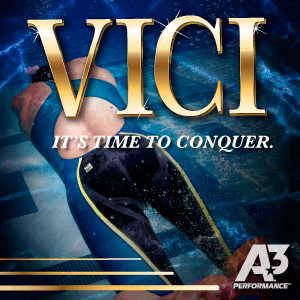 #4 – Who will be swimmer the meet? Last year last year Tufts’ Roger Gu became the first NCAA swimmer to break 20 seconds in the 50 free, but his ninth place finish in the 200 free and his eventual loss to Bowdoin’s Sarier in the hundred free, despite having a faster time in the morning, meant that Sarier or was named swimmer than me after prevailing in that race as well as the 200 IM and 200 free. Sarier went on to place second in the 200 free at NCAA’s while Gu placed second in the 50 and 100 free. This year, Google has already been faster than this time last year but he will have to beat Sarier (and the rest of the field), in both the 100 and 200 hundred free to be named swimmer of the meet this year. 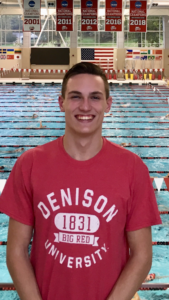 Amherst freshman Scott Romeyn, who comes in with an extremely fast high school time of 20.28 in the 50 free and 44.67 in the hundred free, could be a threat as well, although he appears to lack a third event as well. Tufts senior Kingsley Bowen (the 2016 freshman of the year over Sarier and last year’s NCAA champion in the 200 back) is also in the mix. #5 – Can anyone break the top three stranglehold on the relays? Last year third place finisher Amherst finished almost 500 points ahead of fourth place finisher Bowdoin (1,467.5 to 976.5) and just 197 points behind champion Tufts. 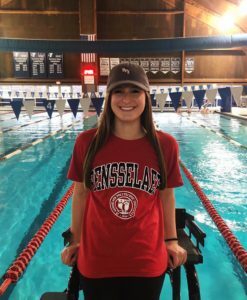 was Connecticut College, Williams, Amherst, and Tufts all won relays, with Tufts winning twice, but Connecticut College graduated 75% of their winning 200 free relay. This year the gap on the psych sheet is event larger – they hold the top 3 spots in every relay with their B teams even ranked in the top 3 in the 800 and 400 medley. Barring a disqualification it will be tough for the rest of the league to break that stranglehold. Bowdoin may have a shot behind some fast closing anchors by Sarier but look for a Bates relay to try and make a move on the back of senior breaststroker Alex Bedard and junior freestyler Tanner Fuller. 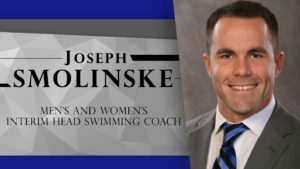 Connecticut College may have the depth behind 2018 freestyle finalist Charlie Adl an distance swimmer jared Nussbaum. Wesleyan, the surprise second place finisher in both medleys at the women’s meet, is unlikely to have the horses here to make a similar breakthrough.